Biologists and tribal officials in the Bering Sea off the west coast of Alaska are working to protect one of the world’s greatest gatherings of seabirds. With a little unwilling help from wharf rats in Alaska’s Dutch Harbor, the nation’s busiest fishing port, they aim to keep rats as far away as Seattle from devouring the birds of the rat-free Pribilof Islands. 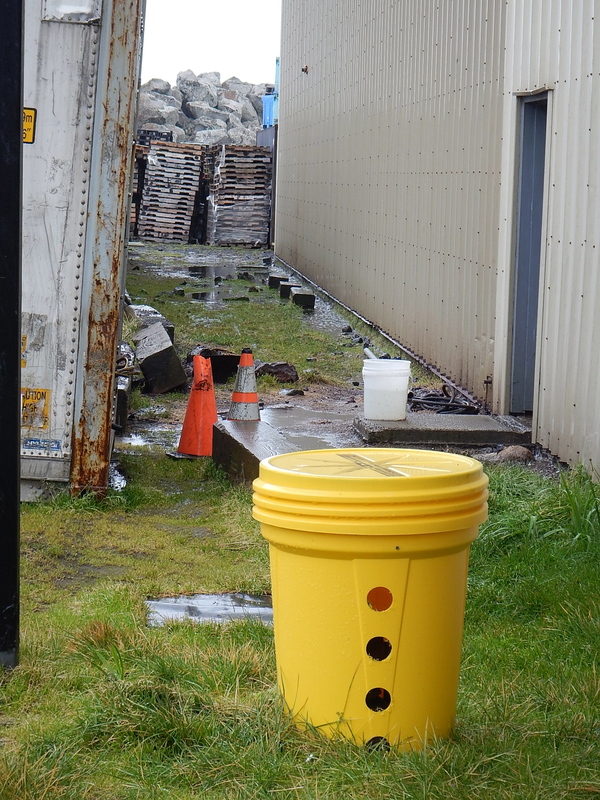 A rat trap outside the Trident Seafoods plant on St. Paul Island. KUCB/John Ryan photo. The Pribilofs — a handful of treeless islands in the Bering Sea 300 miles from the Alaskan mainland — are famous for their millions of seabirds. They turn the islands’ sea cliffs into noisy multi-species cities each summer, as heard in this recording from St. Paul in 1968. This time of year, the birds have headed far out to sea, and the nesting cliffs are mostly silent, except for the wind and waves crashing in from the Bering Sea. But efforts to protect the seabirds of the Pribilofs go year-round. In a classroom at the St. Paul School last week, middle-schoolers learned just how fast rats can multiply if given half a chance. On a classroom table surrounded by middle-schoolers, one pile of jellybeans represents rats; another, seabirds. The pile of rats grows a lot faster than the pile of birds. Many of the birds end up in a “killed” pile. “So, if 64 females each has 8 babies, what are we getting up to now?” biologist Pam Goddard from Seattle asks the students. After some scribbling and a couple of incorrect answers, the students get 512. The students learn that a female rat can have up to 14 babies every few weeks. Those hungry rats like to eat the eggs, chicks and brains of seabirds. The visiting instructors go through the exercise, with a few simplifying assumptions to keep the math easy, to give students a sense of how much damage even one rat can do. “One pregnant rat having eight offspring, they would wipe out 50,000 birds in 6 months,” Goddard tells the class. 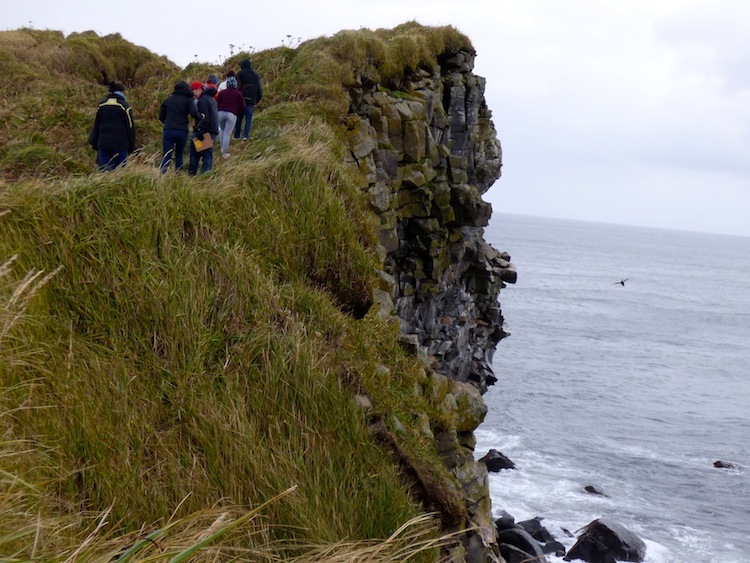 “So you can see why it’s important to keep rats off the island,” co-instructor Ann Harding, a British seabird biologist from Cordova, Alaska, says. The somewhat grisly math exercise is part of Bering Sea Days, a week of classes focused on the biology and traditions of the Pribilofs, with guest teachers from near and far. Nearby St. George Island has the biggest seabird colonies, but even on St. Paul, seabirds outnumber humans about 500 to 1. Nobody has seen a rat on St. Paul since some dead ones were spotted in the 1990s, according to Paul Melovidov with the St. Paul tribal government’s Ecosystem Conservation Office. “The Pribilof Islands are rat-free, and we’d like to keep it that way,” he says. St. Paul has long had dozens of rat traps at its harbor and elsewhere. Bright yellow barrels with holes in the side and traps on a platform inside–rats have to climb a rope to reach the traps–are scattered strategically throughout the village of 400 people. The covered plastic barrels keep the traps from getting waterlogged or buried in snow. For a long time, nobody knew whether the traps worked: They never caught any rats. This spring, Melovidov and a colleague spent a couple weeks in the nation’s busiest fishing port, Unalaska’s Dutch Harbor, where finding rats is a lot easier, and not just at the waterfront Norwegian Rat bar. “We wanna be dominant like rats,” Norwegian Rat co-owner Joe Henning said. St. Paul’s rat sentinels got permission to set traps outside the big Unisea fish-processing plant, just down the road from the Norwegian Rat, and by the Unalaska landfill. Melovidov said it was the first time he’d ever seen a rat. 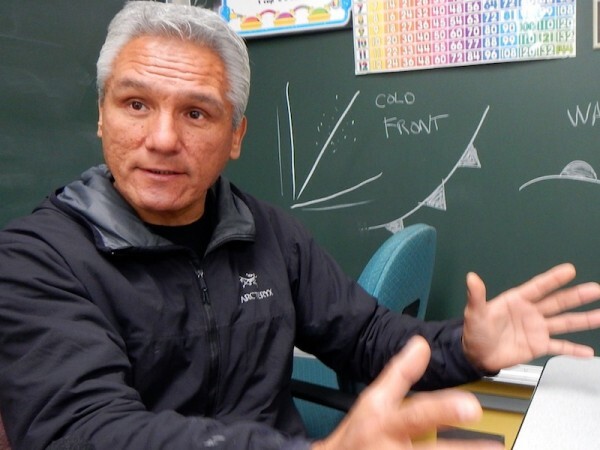 For the St. Paul tribal government, the first line of defense against a rat invasion is education, whether it’s teaching kids not to mess around with the yellow barrel traps or working with boat owners. The most likely way for rats to invade these remote islands would be as stowaways on a cargo or fishing boat coming from some rat-infested harbor like Dutch Harbor or Seattle. The crab boats that began fishing this week off the Pribilofs mostly come from Seattle, one of the most rat-infested cities in the nation. It’s not by accident that Seattle has a roller-derby team called the Rat City Roller Girls. Nearly all the crab boats have agreed to have voluntary rat inspections, according to Melovidov. Inspectors go through each boat with a black light that highlights rat urine and feces and give out rat traps and educational materials. He says it’s been harder to get inspectors on board the ships that bring groceries and other cargo to St. Paul. They often arrive and unload in the middle of the night. 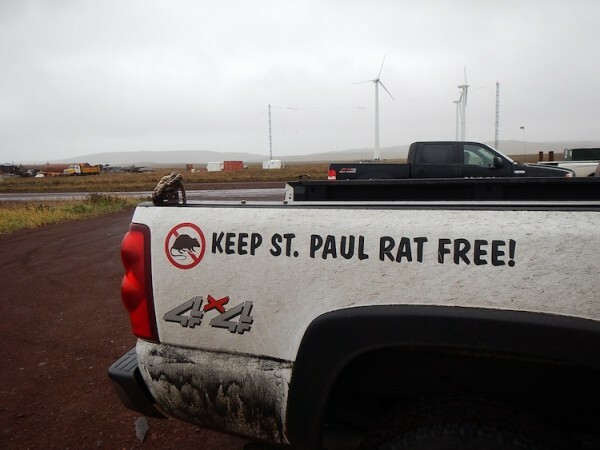 “We’re trying to gain some rapport with the captains that come on into the harbor and let them understand that this is a rat-free island and how important that is to the community of St. Paul,” Melovidov says.